One of the traditions surrounding weddings, and a good idea if you are sending something to someone, is the wedding spoon. I received two for my wedding, and they are in the picture. I got one from a guest at my wedding and the other was given to me by my Brownie pack. 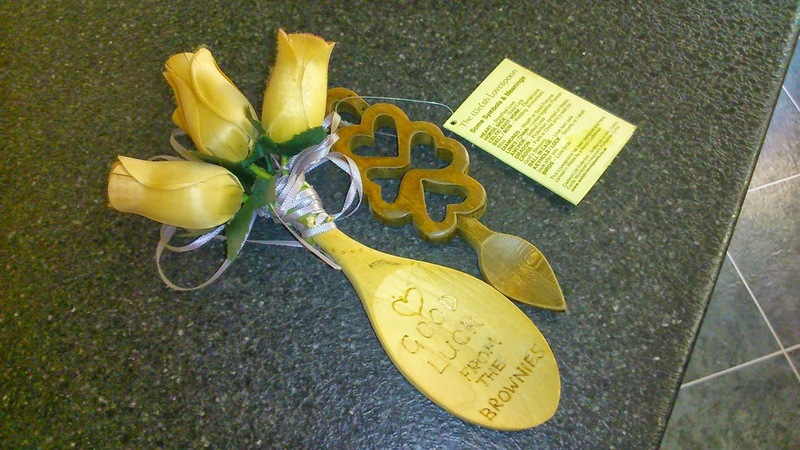 Brides were given spoons to use in their kitchen for her new husband. You may have seen love spoons which come from Wales and were given to women by their admirers and she kept the one from the suitor she liked best. You can get some really nicely carved ones and I can almost guarantee that it will be an unique gift!